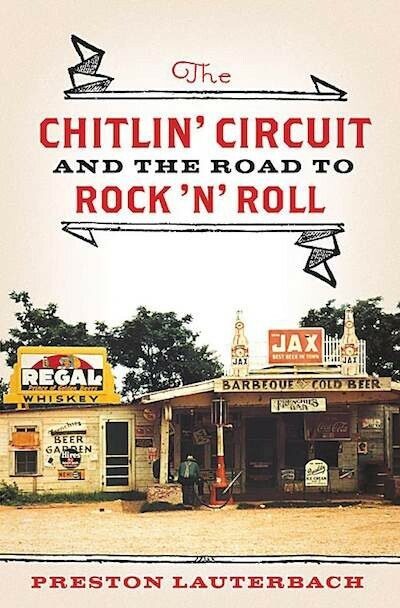 For the past three months, Preston Lauterbach, author of The Chitlin' Circuit: And the Road to Rock 'n' Roll (W.W. Norton), has been making the circuit himself at booksignings, author appearances, and book festivals. He's traveled to St. Louis, New Orleans, Jackson, Mississippi, and Nashville. Last weekend, he was in Dallas and Austin. This week, though, he's back in Memphis, which is not only his home base but also the scene of several events designed around his book, beginning with a lecture by Lauterbach at the University of Memphis on Thursday, October 27th (reception at 6 p.m.; lecture at 6:30 p.m.), inside the U of M's University Center Theater. On Friday the 28th, Lauterbach will head a panel discussion (featuring blues artist Bobby Rush, music educator Emerson Able, and music promoter Julius Lewis) inside the McCallum Ballroom of the Bryan Campus Life Center at Rhodes College. The discussion begins at 3 p.m., and it's followed that evening by a concert by Rush (along with the Bo-Keys) at 8 p.m. at the Warehouse (36 East G.E. Patterson). And on Wednesday, November 2nd, at noon, the Dixon Gallery and Gardens (4339 Park) will host Lauterbach as part of the gallery's "Munch and Learn" lecture series. Where does all this activity leave Lauterbach, who's already at work on a followup to The Chitlin' Circuit: a history of Memphis' Beale Street?